The DroneMobile app is getting a major facelift this winter. Scroll down to learn more about Version 4.0. In the new DroneMobile app, your new home screen is a customizable dashboard to show you what matters to you. Stay Connected to Your Car! 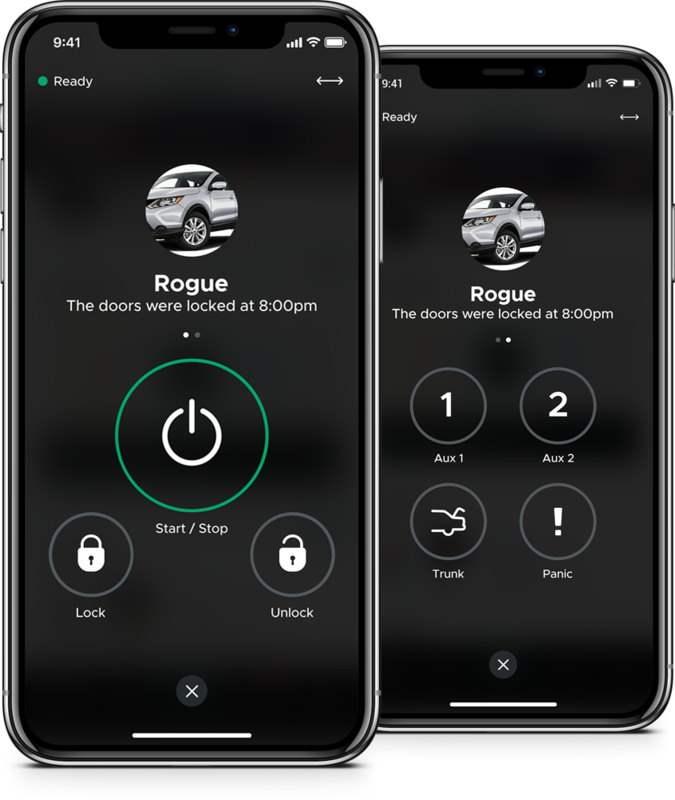 Locking your doors and remote starting your vehicle has never been easier and faster. The new DroneMobile app presents a control interface that is accessible from nearly anywhere whithin the application. 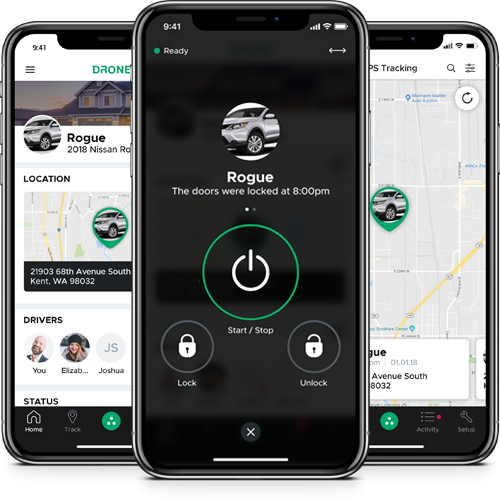 The new DroneMobile app now features Family Sharing, which allows you and your family members to have separate logins but shared access to the same vehicles. Send an invite to a family member. Join the owner's account or merge two accounts. Share access and alerts for your vehicles! you don't have to login to our desktop portal anymore to update your geofence, speeding, and curfew preferences. These are now all updatable within the app. Stay up-to-date with DroneMobile news, announcements, and promotions. I agree to receive marketing updates about the Drone app.